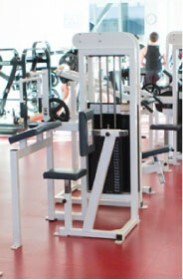 Nortec Strength is a Canadian manufacturer of free-weight and plate load strength training equipment. High Quality manufacturing and durability at a reasonable price make Nortec products the first choice of value conscious buyers. For selectorized strength equipment that provides wheelchair accessibility features and is inclusive to all users for their use; ask about our Access Line. To contact a Nortec representative for more information on this quality equipment, made in Manitoba, please click here.